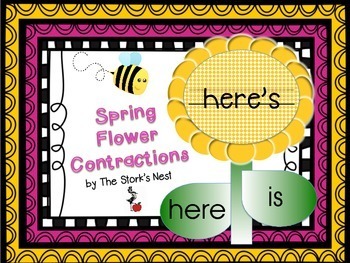 Thank you for checking out my Spring Flowers Contractions! 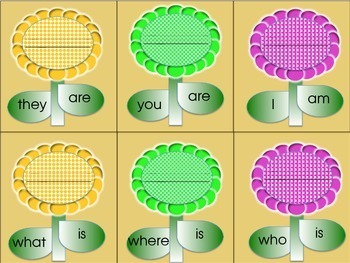 These full-color, vibrant exercises can be laminated and see for write-on center activities to help students practice writing contractions! 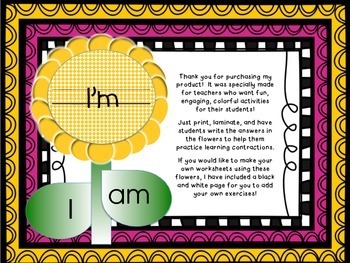 Or, use the black and white page to make your own exercises in class!